The prospects of the Northern Sea Route were discussed at a round table hosted by Rossiya Segodnya on June 17. The participants in the event spoke about the revival of the Northern Sea Route, the renovation of abandoned Soviet-era sea ports and airports and the conservation of Arctic flora and fauna. Mikhail Slipenchuk, Deputy Chair of the State Duma Committee for Natural Resources, Nature Management and the Environment, said that 20 percent of Russia's territory lies in the Arctic, and although only one percent of the country's population lives there, Russia is an Arctic country. "In Soviet times Arctic development was at the top of the nation's list of priorities, and now we are effectively restoring what generations before us did," he said. "This is complex work, because a lapse of 25 years sounds like a lot of time. However, today, new technologies allow us to more easily cope with difficulties, and they also make many things less costly." According to Slipenchuk, Russia has four nuclear-powered icebreakers, of which only two are being used. "We need to nationalize ports, renovate airports and create a fleet of ships," he added. We did not have to start from square one in developing the Northern Sea Route, said Alexander Akimov, Deputy Chair of the Federation Council Committee on the Federal Structure, Regional Policy, Local Government and the North. "Back in Soviet times there was a powerful fleet of icebreakers in the Arctic and sea ports were functioning," Akimov said. "Unfortunately, the state lost interest in this region for some time, which had negative implications. Previously, up to 8 million metric tons of cargo, oil products included, was transported annually, whereas now there has been a dramatic drop in the volume of freight carried by sea. 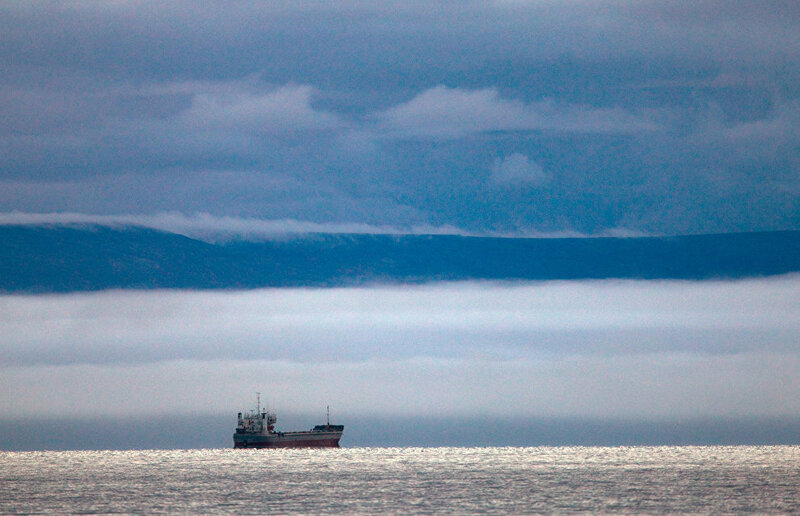 The task has already been set to develop Russia's Arctic shelf." He added that a cross-cutting approach to developing Arctic mineral resources had to be adopted. Akimov spoke about the importance of finding solutions to the issue of Arctic personnel. "Agriculture, reindeer breeding and fishing are well developed in Russia's Arctic, but we need to think hard about where to recruit specialists who will be qualified to take on the challenge of developing the Northern Sea Route," he said. Arkady Tishkov, Deputy Director of the Geography Institute at the Russian Academy of Sciences and member of the Academic Council Presidium of the Russian Geographical Society, also voiced concern over the small and sparse population of Russia's Arctic. He said that it would be difficult to implement major industrial projects if people do not reside there permanently. Tishkov added that one likely solution to this problem might be creating a new life-support system, for example, cities covered by a dome to create an artificial climate. There should be at least 12 such cities, according to the scientist. Tishkov believes that the Northern Sea Route could become a Russian brand. "We ought to realize that, historically, this is our transport route and we must get back to it," he said. "Not just return to the Arctic, but to the Northern Sea Route. The route owes its rebirth to several processes, primarily, to geopolitical interest. Second, Russia is becoming the world's leader in Arctic oil and gas production. Finally, global warming is acting in our favor." Climate change is causing ice melting in the ocean, thereby facilitating navigation along the Northern Sea Route. "The Arctic is a place for mutually beneficial international cooperation," Tishkov said. "At present over 200 projects — mostly environmental projects — are being implemented there. The most important point is to complete research associated with the Northern Sea Route." He also advocates creating a fleet of expedition vessels in the Arctic.